BEFORE YOU BEGIN YOUR UPLOAD... We know how much hard work you put into organizing your local photo library, which is why we want you to read this article. 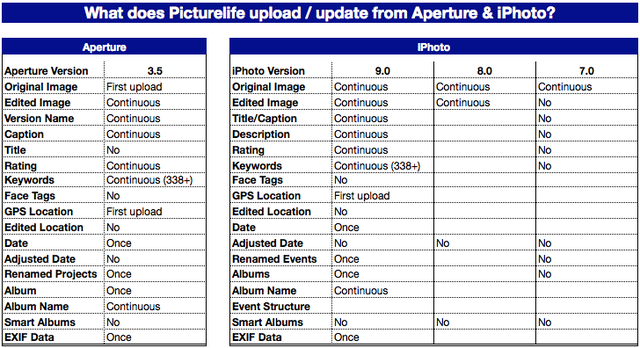 You'll find an FAQ as well as a chart that lays out the what, when, and where of Aperture/iPhoto and Picturelife. 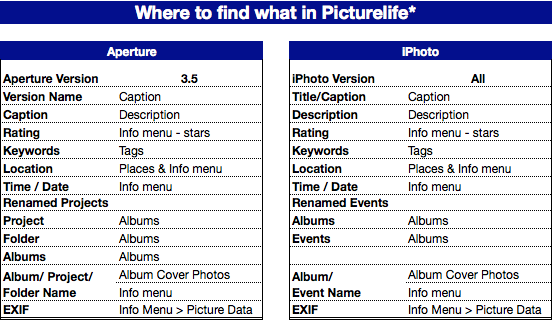 Here, we explain the important points to keep in mind as you upload and update your Aperture/iPhoto & Picturelife libraries. I'm trying to move my library over from iphoto to picturelife and I didn't understand the graphs. They're harsh to look at and not the easiest to decode for someone like me.